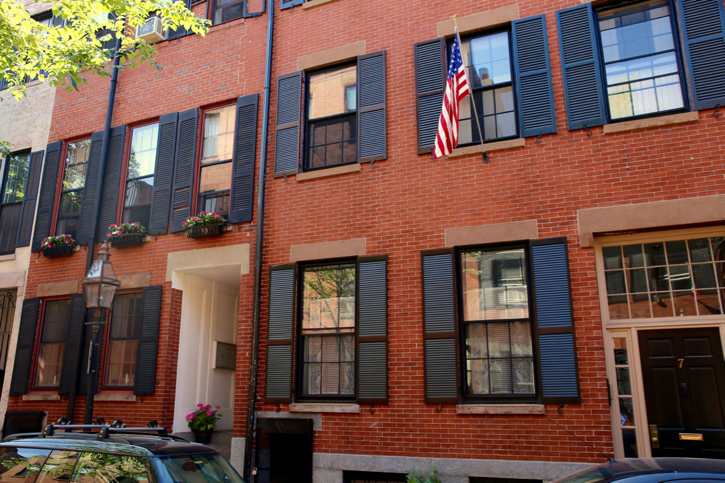 The South End’s is Boston’s first planned community and the largest intact Victorian row house district in the country. 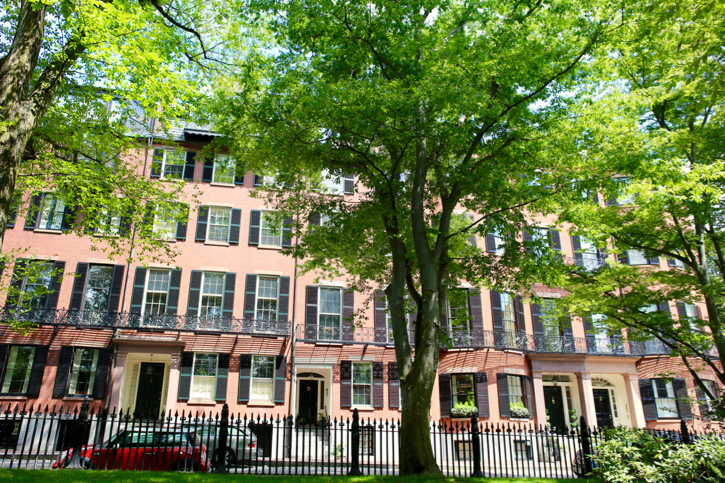 Similar to Back Bay, it’s tree-lined streets, abundant green space, popular shops & restaurants have made it an increasingly desirable place to live. 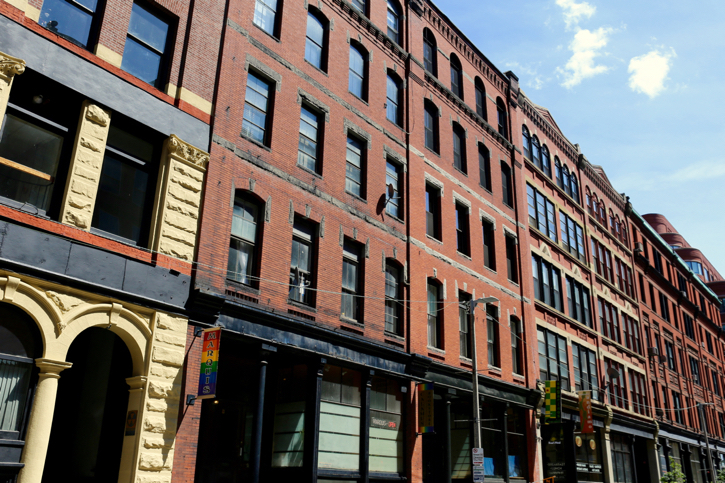 In addition to its brownstones and row houses, the South End has more recently become known for its loft and loft-style luxury buildings, most of which are found in the rapidly developing SoWa District, bordering South Boston and Chinatown. Not only the home of Fenway Park, this well known Boston neighborhood also offers some of the world’s best universities and medical institutions, including but not limited to: Harvard Med, Boston Children’s, Beth Israel, Brigham & Women’s, Dana-Farber Cancer Institute, Joslin Diabetes Center, Boston University, Northeastern University, and much more. 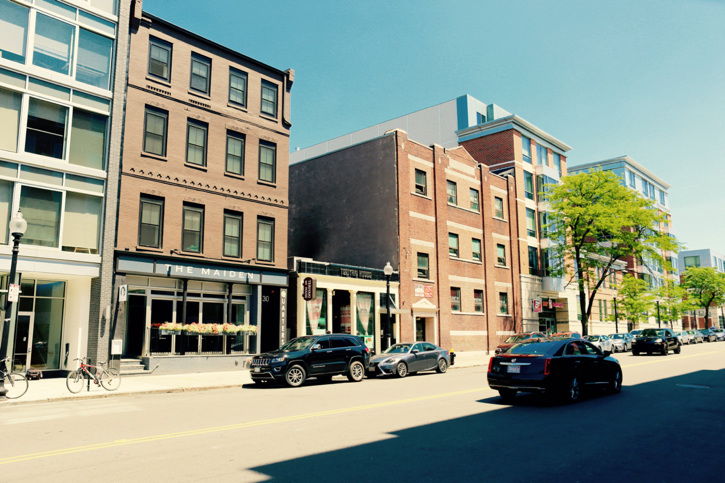 Historically a popular student neighborhood, recent and undergoing new luxury residential developments have begun to transform Fenway into a much more desirable area for young professionals as well as the medical community. 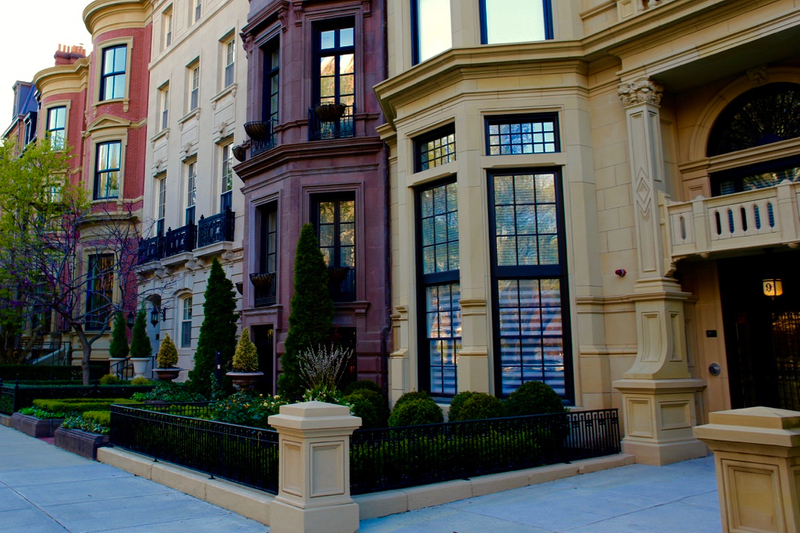 Existing as a marsh until the late 1800s, Back Bay is one of Boston’s most exclusive neighborhoods, famous for its Victorian Brownstones, quiet tree-lined streets, European style shopping and outdoor dining on Newbury St, and vibrant nightlife. Surrounded by the Charles River Esplanade, Public Garden, Boston Commons, and the Fens, residents of Back Bay get to enjoy all the perks of living in heart of the city without the feeling of living in a ‘concrete jungle.’ By contrast, Back Bay is also home to Boston’s tallest buildings, the Prudential and John Hancock Towers, and despite being a US Historic District, there are many new commercial and residential developments set to take shape over the next few years. Fort Point is located between the Broadway Village and the Seaport District and boasts the highest concentration of brick-and-beam warehouse loft conversions in the city. Aside from serving as the headquarters for Gillette, Zipcar and others, it is also recognized as one of New England’s largest artists’ communities. Fort Point’s cultural wealth also extends to its restaurants and nightlife, ranging from unassuming garden-level gastropub to luxurious, multi-course French cuisine. Also known as the Innovation District, the Seaport is Boston’s newest and fastest growing neighborhood, featuring the highest concentration of new construction luxury high rises in the city. An international hub for biotech and startups, as well as GE’s new headquarters. The Seaport also offers convenient access to the Mass Pike, Logan Airport, South Station, the Financial District, and walking distance to great restaurants, nightlife, Children’s Museum, and Institute of Contemporary Art. 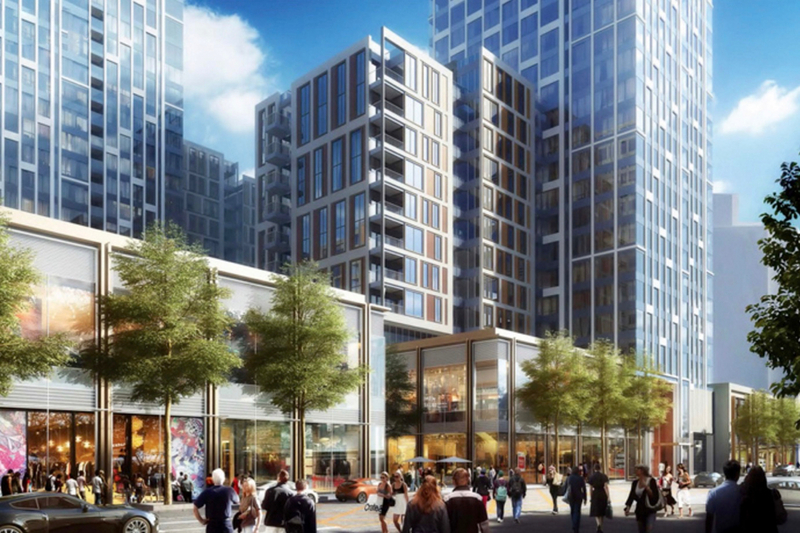 Broadway Village, like the Seaport, is a rapidly developing corner of South Boston. It borders the South End and Fort Point, conveniently located near the city’s largest Whole Foods, as well as the Red Line, Mass Pike. Unlike the luxury high rises that dominate the Seaport, Broadway Village features mostly boutique condos and mixed-use rentals. Bay Village is Boston’s smallest neighborhood, comprised of mostly Federal style town homes inhabited by just a couple thousand residents. 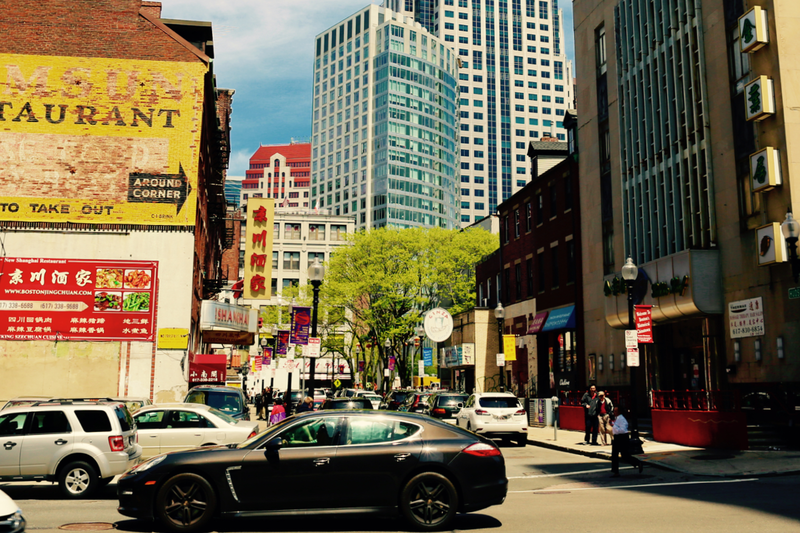 Surrounded by Chinatown, the South End, Back Bay, and the Theatre District, it’s one the most walkable places in the city. Because of the narrow one-ways and irregular arrangement of streets, Bay Village enjoys sparse traffic and is relatively quiet and pedestrian-friendly. However, with such limited inventory and no room for development, opportunities to rent or buy are relatively rare. A compact area just east of Chinatown, the Leather District’s nine well-defined blocks are notable for their 19th century brick factories and warehouses that become abandoned and fell into disrepair. No more. Development of the Rose Fitzgerald Kennedy Greenway transformed the neighborhood into a popular mixed-use area. Home to State Street Corporation, the second-oldest financial institution in the country, the district is favored by commercial and residential tenants who favor its large, modernized spaces with a stylish industrial vibe. 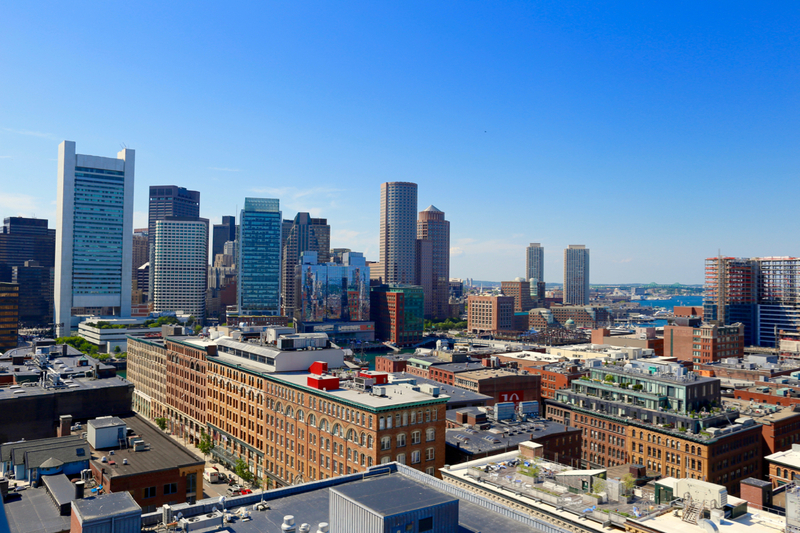 Its high concentration of lofts and convenience to South Station, a major public transportation hub, makes the Leather District a popular, accessible city neighborhood. This once-depressed area in the heart of the city is nestled between Boston Common, the Financial District, Theatre District and Chinatown. Now transformed into a vibrant hub, this neighborhood, which houses the shops of Downtown Crossing, has became a destination for residents from throughout the city and suburbs. 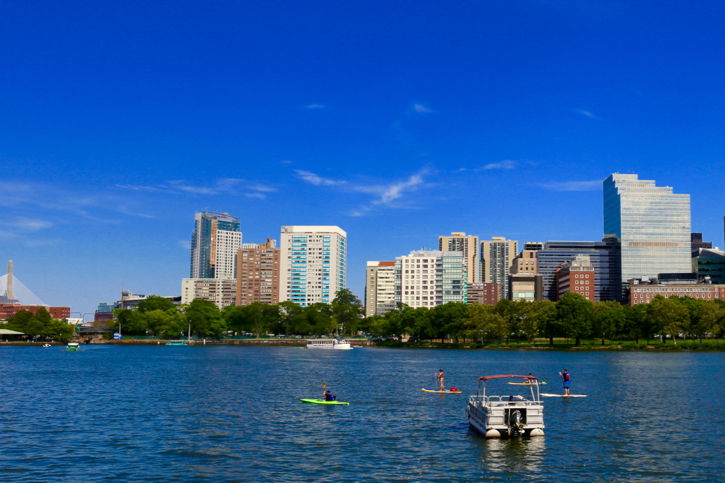 Dotted with many of Boston’s most popular historic and newer restaurants and most luxurious apartments and condos, it boasts some of the city’s best views, including the Common, Public Garden, Charles River, Boston Harbor. 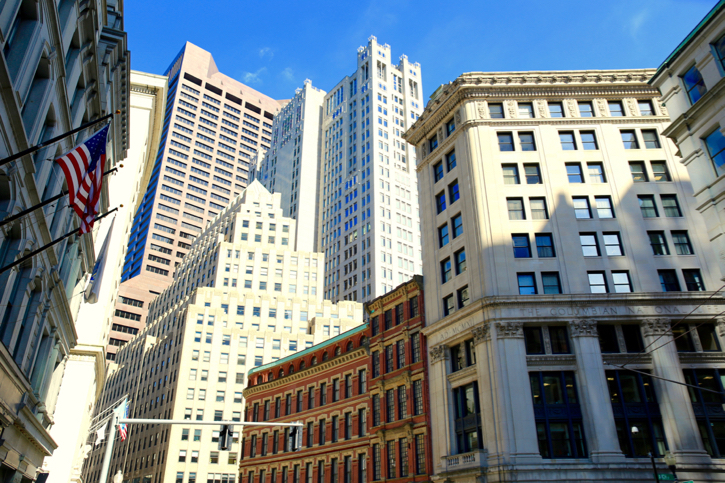 Located in the virtual heart of Boston, Downtown has been the center of culture, business, and government since the 18th century. Home to shops, restaurants, City Hall, various corporate headquarters, and some of the city’s most popular tourist attractions attractions—including Faneuil Hall Marketplace and the historic Freedom Trail—hundreds of thousands of people arrive in the neighbood to work, shop, and play each day. Its conveninece, lifestyle perks, and ever-increasing number of luxury apartments and condos (some in historic buildings; others in modern glass towers) continues to draw more residents to the city’s core. 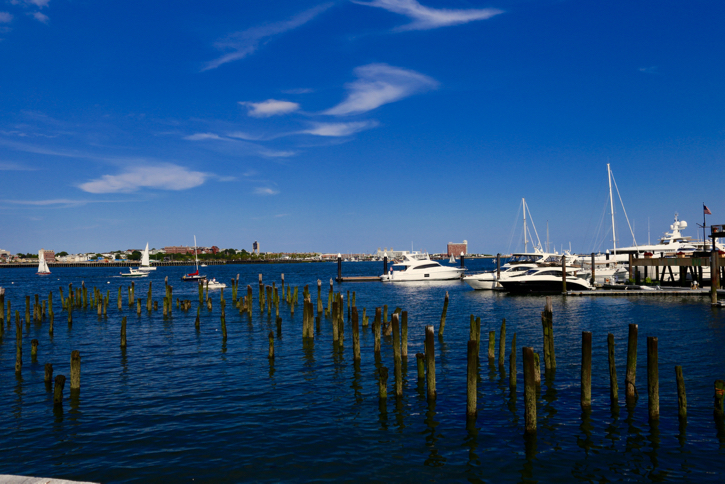 Not to be confused with the Seaport, Boston’s Waterfront runs about a quarter mile along the North End and Financial District and is known for its historic wharf buildings, many of which have been converted into loft-style luxury condos and townhomes. Since the end of the Big Dig and creation of the Rose Kennedy Greenway, the Waterfront has experienced a resurgence and is now host to some of the city’s best restaurants, shopping, and entertainment. The historic home of American Revolutionary leader Paul Revere and the location of the first settlements after the founding of the city of Boston, the tight-knit North End is the traditional immigrant enclave of the Italian-American community known as “Little Italy.” One of the most-visited neighborhoods in the city, its hardworking historic character is woven through the neighborhoods vibrant narrow streets, which are lined with some of the best eateries, Old Country shops, and newly-built and renovated luxury residences. 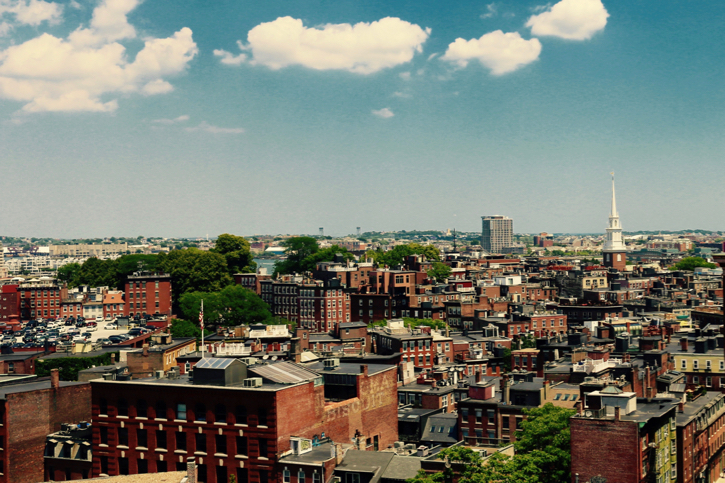 The small, historic and ethnically diverse West End is a unique mix of old and new Boston. 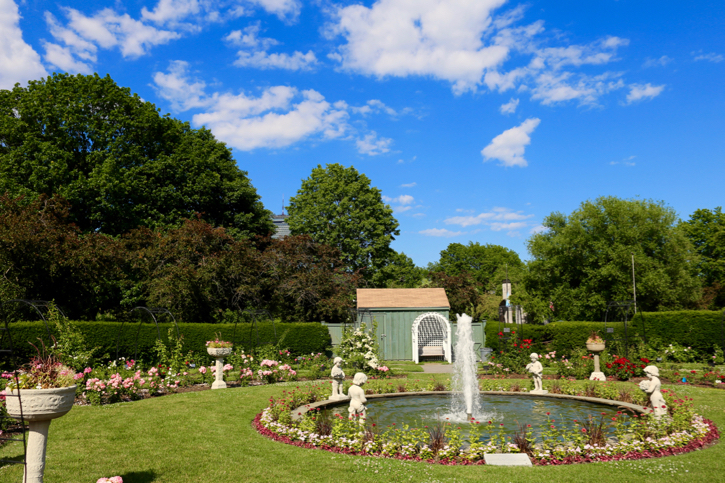 Home to visible local landmarks, including TD Garden and Massachusetts General Hospital, the fast-reemerging neighborhood has a vibrant business community and a fast-growing residential population. Once an area filled with rows of tenements crammed with immigrants and blue-collar families, the West End is evolving into a bustling hub increasingly occupied by white-collar professionals from near and far who appreciate its bygone charm and newfound style. 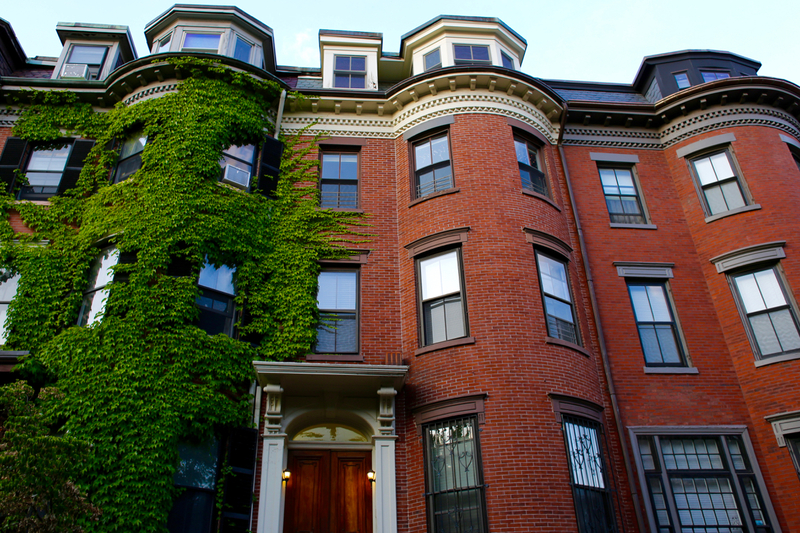 Drawing its name from a beacon that once stood high on the hill to warn locals of impending invasion during Colonial times, Beacon Hill is a quaint, history-filled neighborhood of well-preserved 19th-century row houses, cobblestone streets, andworking gaslights. Once home to many famous Americans, including Henry David Thoreau, Louisa May Alcott, Oliver Wendell Holmes, and more recently, John Kerry, the district is today the preferred nesting place of upwardly mobile denizens drawn by its historical authenticity, many antique shops, and elegant housing options.